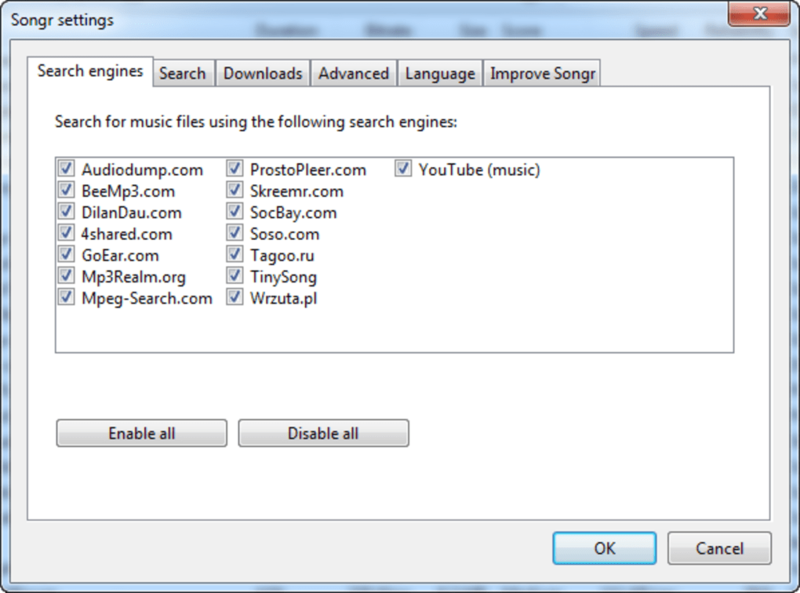 Songr is a program to search for and download music and video from the web. There's no frantic searching of P2P or BitTorrent involved, but instead, the convenience of searching through specialty search engines. 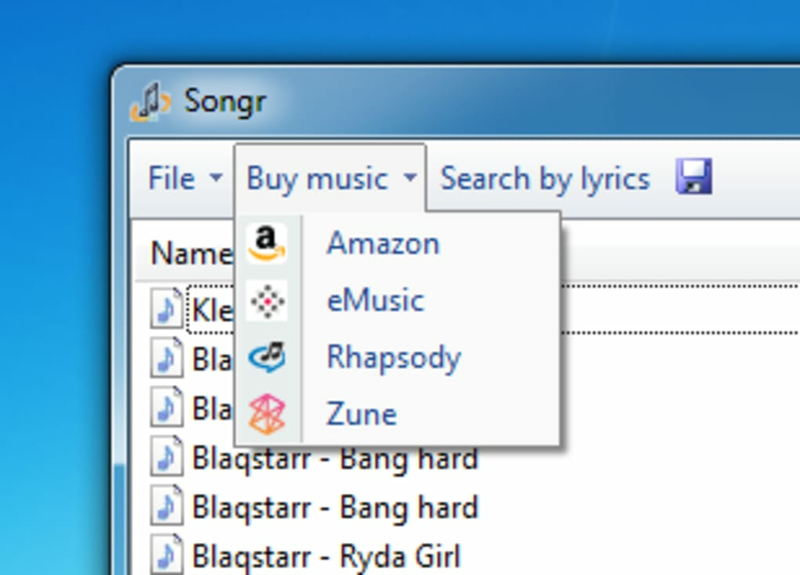 With Songr, you can search and download songs in MP3 format (provided they aren't infringing on copyright laws), by using more than ten thematic search engines simultaneously. 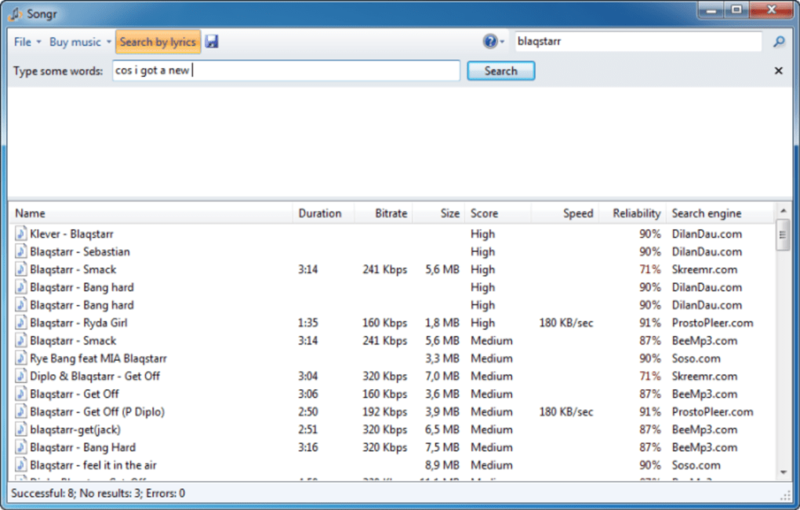 The results are varied, and downloading the songs is both straightforward and fast. 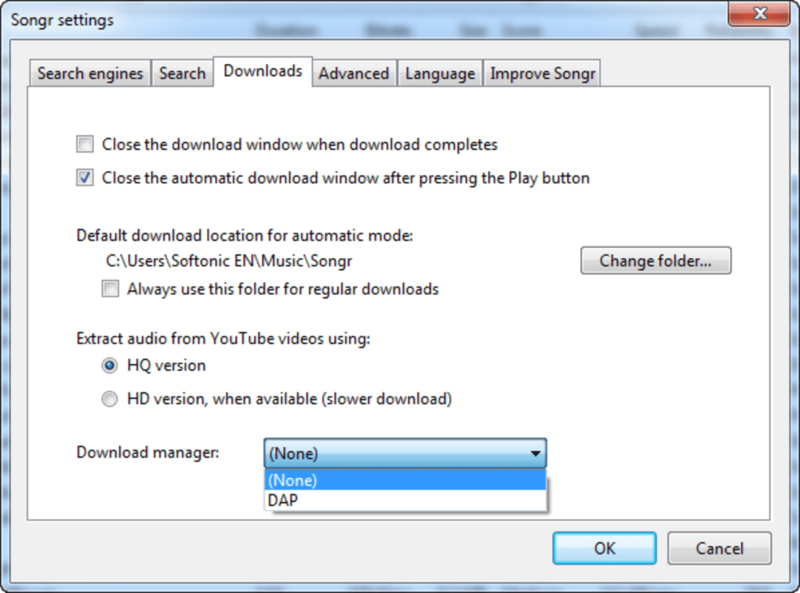 Songr will stream playback of the selected songs or the option to download them onto your computer. It doesn't include a resume function for downloads that are broken or paused. Songr has a clean and simple interface. Searching for a song using the handy search box is a complete no-brainer. 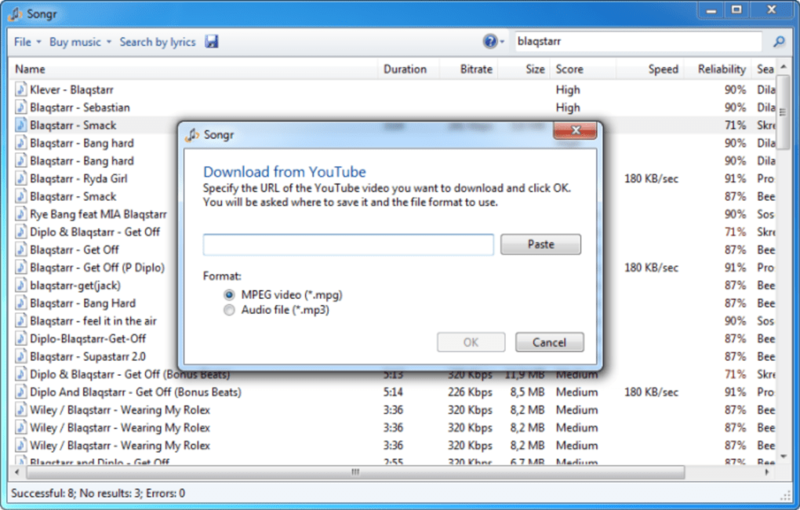 With Songr, downloading songs is free, fast and there are no waiting times. During our tests, it worked perfectly. It's pretty much indispensable for every lover of music. Great Program, Bad Virus?. Quality program, easy to use, fast, lightweight, gives good info. Unfortunately, AVG consistently identifies its uninstall executable file in the last few updates as a Trojan. The author of the software is Xamasoft afaik, but their website is infrequently updated and has no mention of false positives. After removing the Trojan, the program stops functioning, with a fatal error message being triggered as soon as a search is done. Use IE to get fast efficient Songr2. 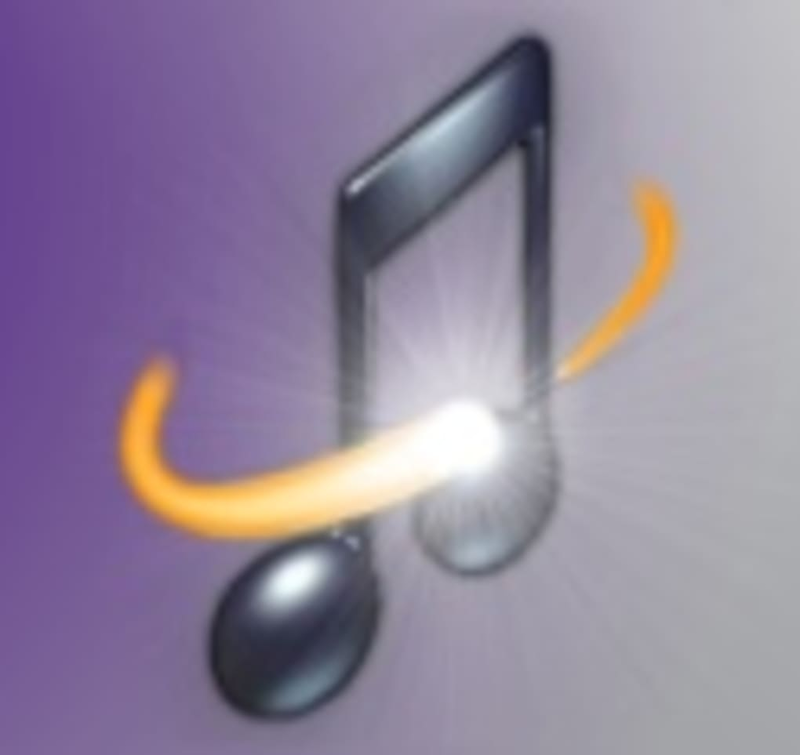 Search & download 15 song/lyrics sites. Go to Songr website and download via Internet Explorer. Chrome and Torch won't let you, but IE's virus check gives a pass. As you load Songr, click off the extras. Open Songr, and choose the new version, Songr 2. It's fantastic. Search on B B King showed All Results of 70 entries from 15 music search engines. Click a track, it starts playing, then works down the list. For each track you can Download mp3, view lyrics, buy. There's an artist profile from Last.fm. As Songr does not use graphics, it uses little memory (87 Mb physical, max 3% CPU), so easy to run in the background. Thanks Songr! Fast, efficient, and light on memory. See 50 tracks on screen. East to view lyrics and notes. Beautifully simple, leave it as it is. Other sites & programs overload graphics. Very High Quality. I download all of my music from youtube. It takes a bit longer, but it makes sure the quality is perfect. Songr makes it just a little bit easier than trying to extract the audio on my own. The 'Download from YouTube option. Perfect. Music and youtube videos. It´s perfect. 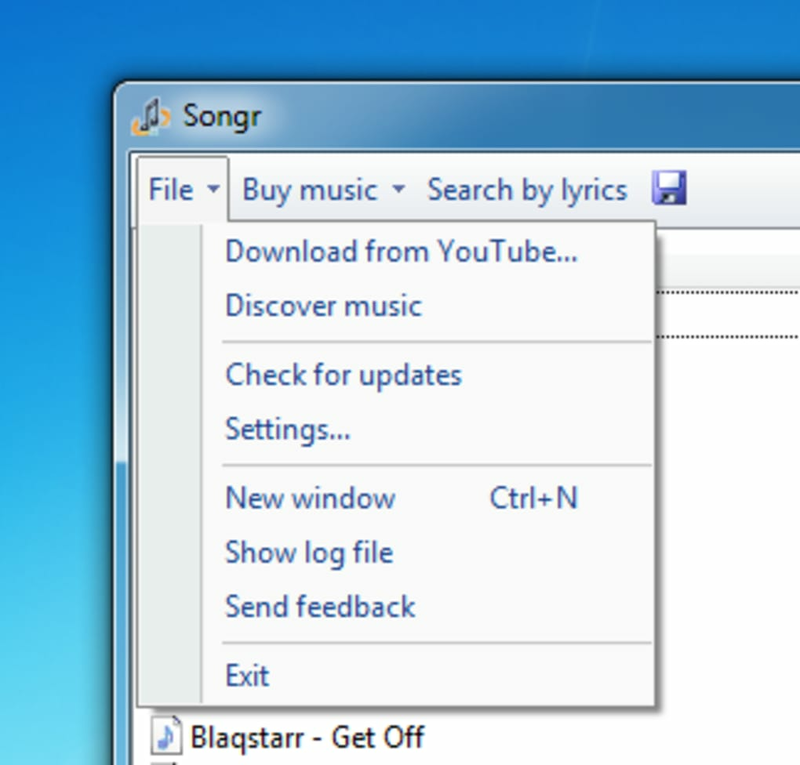 You can preview the songs before downloading them. Pros: Really fast. Simple. Cons: Some songs are broken. surprising . 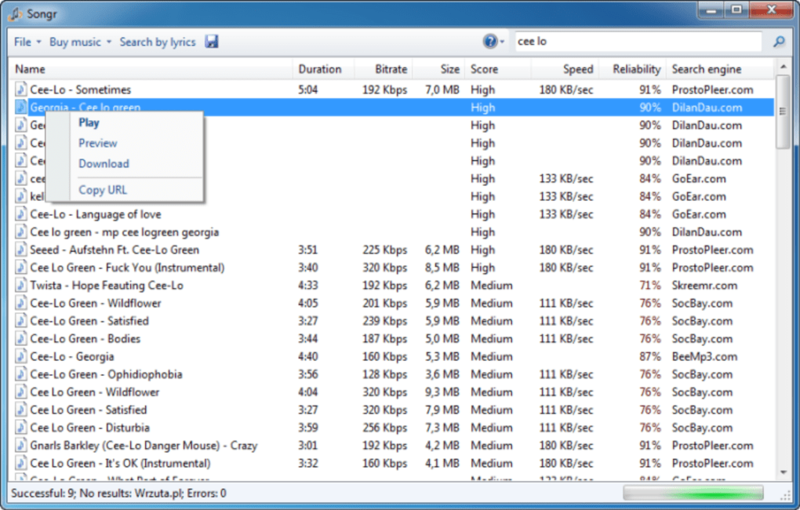 great free program.reliable and fast downloads.really like this program..
What do you think about Songr? Do you recommend it? Why?